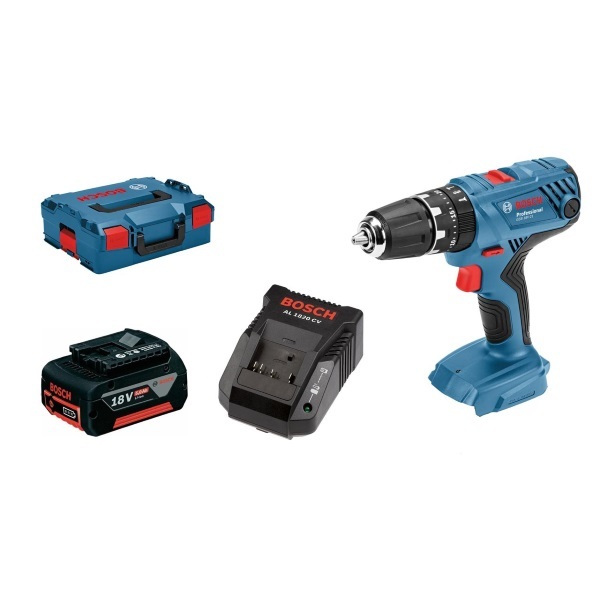 This Bosch GBH18V-21 combi drill kit comes complete with a 5.0Ah battery, charger and carry case. This tool has all the capability you need whether for a DIY application or professional use. This tool has a powerful motor giving you up to 55Nm of torque and features a 13mm keyless chuck. It also features a soft grip handle and a safety switch that will turn your drill off should it get jammed and start spinning.